100-BH-DST is rated 3.5 out of 5 by 2. 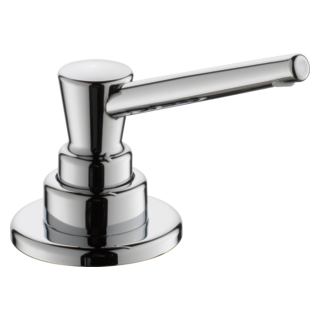 Rated 5 out of 5 by Nonno3 from Simple yet elegant design. 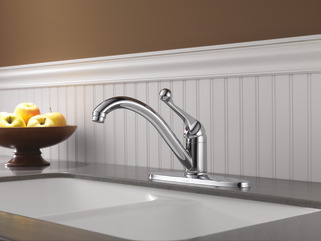 Looking for a simple yet elegant designed faucet for my parents as a replacement in their kitchen. This fit the bill perfectly. Would highly recommend. 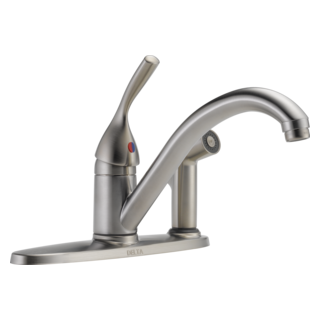 Rated 2 out of 5 by Rick from Good faucet, BAD mounting design The faucet works fine and installs fine. 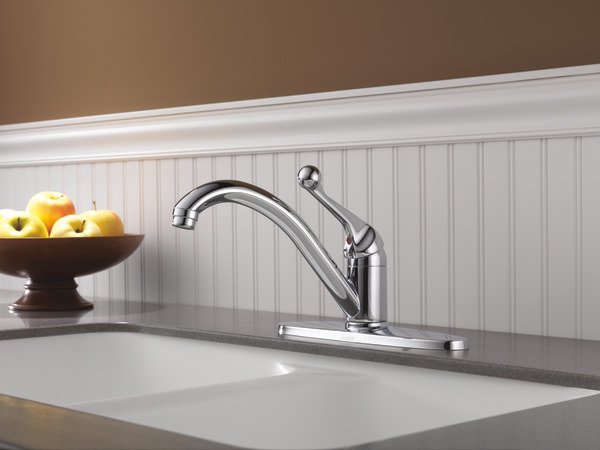 The problem is that no matter how much you tighten the PLASTIC nuts on the PLASTIC shanks, you cannot get the faucet to sit solidly on the sink top without movement. If you grab the spout, and turn it on the base you can get movement up and down where it should be solid. This mode of installation should be retired NOW and bring back the solid metal mounts we used to have. what does &quot;BH&quot; signify in this model? Can I buy a sprayer that is compatible with the Delta Classic 100-dst? 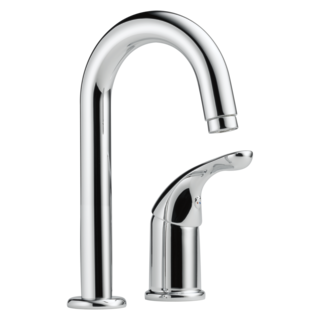 Is the faucet arm metal or only a metalic finis over another kind of material? 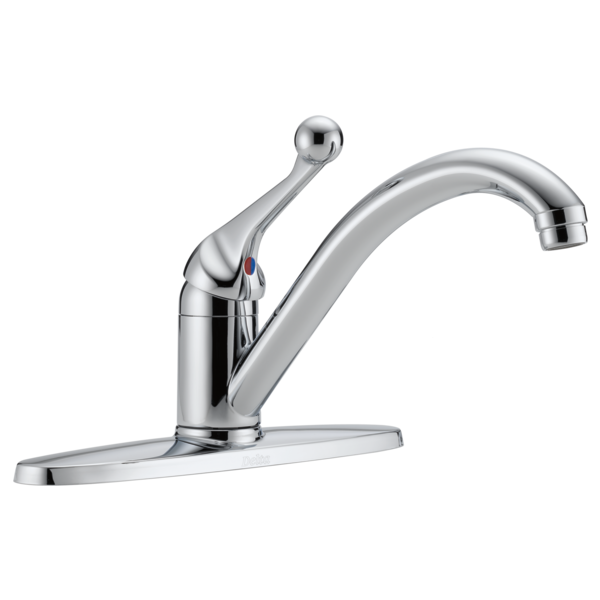 Do you have faucets with the arm being real metal? For the supply lines attached, how long are the lines? I need a line about 28&quot; long. Are there extensions available that can make the lines longer?